The crew of C-Star, an anti-migrant vessel chartered by the far-right Defend Europe, were briefly detained in northern Cyprus this week. The crew of an anti-migrant vessel called C-Star were briefly detained in northern Cyprus this week — the latest hitch in one far-right groups's mission to disrupt NGOs rescuing migrants in the Mediterranean. C-Star is operated by Defend Europe, a group of young far-right activists who have taken to the seas in a bid to halt the flow of migrants and refugees into Europe. On Wednesday, the ship was detained in Turkish-ruled northern Cyprus and two of its members arrested on suspicion of forging documents after 21 Sri Lankans were found onboard, five of whom have since claimed asylum. ​Defend Europe's Alexander Schleyer, a prominent German right-wing activist and Sven Tomas Egerstrom, a Swedish national who owns the ship, were both remanded in custody, reports the Telegraph. They were later released without charge, and the ship was escorted out of Turkish waters. The circumstances of the arrests are "ironic considering that the mission was based on attempting to stop people trafficking in the first place," Joe Mulhall, a senior researcher with the anti-racism group Hope Not Hate, told As It Happens guest host Helen Mann. The U.K.-based NGO has been monitoring the far-right group's activities. 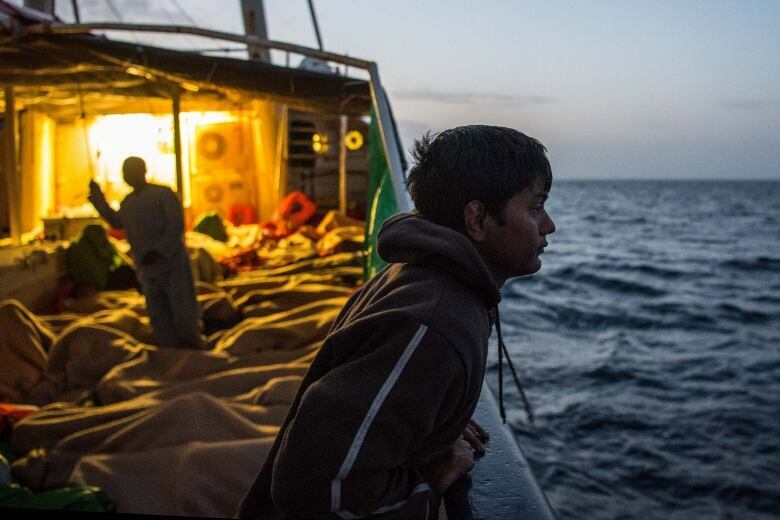 Defend Europe has issued a statement saying the Sri Lankans aboard C-Star were "apprentice" sailors accruing hours for their diplomas, and that some of them were bribed by NGO workers to claim asylum. "I think we have to take anything that Defend Europe's been saying with a real pinch of salt here. I mean, since the beginning of this project they've been spreading false information," Mulhall said. C-Star set sail last month with the stated goal of monitoring NGOs that rescue migrants off the coast of Italy, as well as picking up refugees stranded in the waters and returning them to Libya. "They're painting themselves as kind of some sort of search-and-rescue mission," Mulhall said. "If they take people out of the seas and return them to north Africa they could well be breaking human rights legislation, and this is why we think it's so important that this boat is stopped." An estimated 2,378 migrants and refugees have drowned trying to cross the Mediterranean so far in 2017, according to the United Nations. In 2016, about 3,800 died. 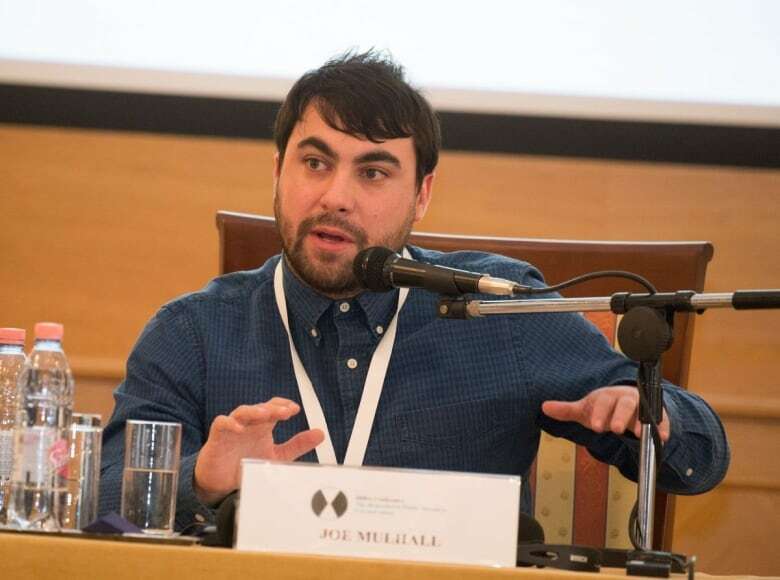 Defend Europe is itself part of a larger movement called Generation Identity, a far-right group made up activists "with long histories of anti-immigrant, anti-Muslim prejudice," Mulhall said. In May, Generation Identity took a small boat into the Mediterranean to block Aquarius, a charity vessel run by SOS Méditerranée and Doctors Without Borders, from returning to the Sicilian port after a rescue mission. Canadian Lauren Southern, a former reporter for the right-wing Rebel Media, was part of the crew blocking Aquarius, and she has been an open supporter and fundraiser for C-Star. Southern's profile on the crowdfunding site Patreon was removed last week, in part due to the lobbying efforts of Hope Not Hate — a move she has decried as a violation of her free speech. "This was about defunding a project that we genuinely fear could cause a loss of life in the Mediterranean and we don't have any problem with that," Mulhall said. "This is not about freedom of speech for us." AS IT HAPPENS: Who are the far-right Proud Boys?